How it all came about! 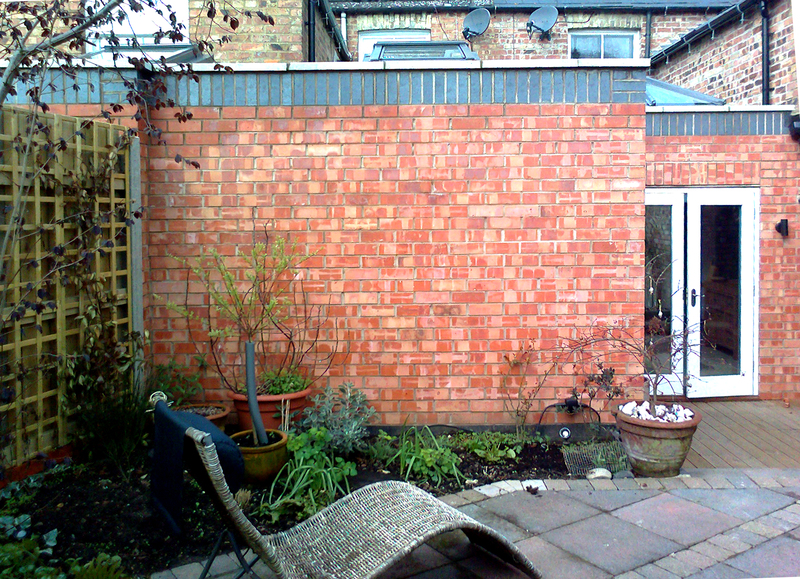 My neighbour and I had an extension built to the back of our houses and my neighbours wall edged part of my garden. My neighbour didn’t want anything heavy duty on the wall or trees planted close to the wall either. So l came up with this light-weight trellis solution. I needed something different, having looked at everything else on the market. I decided I needed a trellis that was also a focal point. There was simply nothing available that could do this. That is when I decided to design my own trellis. How difficult could it be? So I began to think of the space as you would a wall in your own home. A work of art? An installation (if you’re posh)? A mirror (probably not as its east facing). But something that plants can climb too, don’t forget. So I took a photo of the empty wall and literally drew on it. Then I showed it to my friend Rollie, a carpenter, and he showed me how to go about it. The rest is history. And here’s the best bit! During winter when your climbing plants are dormant, the trellis will make a stunning statement. You could also use clip-on planters for a fantastic seasonal display. An eureka moment! So next is a smaller and functional trellis, near the kitchen, for herbs maybe. Genius! Perfect for balconies, patios and decks. The clip on pots transform the trellis into a vertical planter and keep the plants at eye-level. It could be a strawberry rack, or just decorative plants. You could theme it in so many ways. So flexible.